The Professional Coaching Course (PCC) is a transformative year-long certification course that is designed to maximize learning and development in a coaching context using proven methodology. 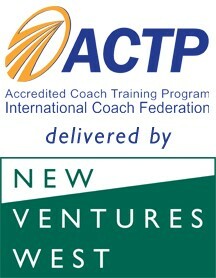 PCC is designed by one of the leading coaching schools in the US – New Ventures West (NVW). The course is an International Coach Federation (ICF) Accredited Coach Training Program (ACTP) and is being run in partnership by the Centre for Coaching at the UCT Graduate School of Business and NVW. PCC Delegates join a group of approximately 20 professionals who study, learn, and coach together for an entire year and quickly form a supportive learning community. The curriculum blends a rigorous course of study with hands-on practice and attention to participants’ own individual development. PCC is organised around four face-to-face sessions of four days each. Days run from 9:00 am to 6:30 pm with a long afternoon break. During the inter-modular periods, delegates complete written assignments, read books from the “Coaches Bookshelf”, coach clients, and undertake their own individual development programme. As they engage in these activities, they draw upon the support of small learning groups called pods. Each pod meets and works together. Delegates are also supported by faculty, pod, phone coach and tape mentors; they also receive periodic coaching from the course leaders themselves. On Completion of both ACC – CfD and PCC, you will have 286 Approved Coach Specific Training Hours. This fulfils the ICF coach educational requirement to apply for Master Certified Coach (MCC) Credentials with the ICF. Please complete our enquiry form for the Professional Coaching Course and we can send you some more information. If you would like to apply right away, please indicate this in the Query and we will send you the link to complete our new Online Application Form.